Don't you miss it! 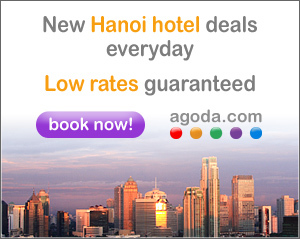 Reservation possible without a credit card Hotel Booking in Ho Chi Minh City, HCMC, Saigon, HCMC Vietnam Today! First things first. When traveling in Vietnam a very useful bit of technology to have is your SmartPhone connected to a local Vietnam Network such as VinaPhone. The SIM card cost no more then US$10, no setup cost and it comes with 1 (one) months free local calls and more then enough 4G bandwidth to surf the internet for a whole month (uploading photos to Facebook, Google Maps, emails…). More important you have this website in Vietnam when your are on the go! Food, Places, Hotels, every thing in Vietnam right at your finger tips. When in Ho Chi Minh City (Saigon) or Ha Noi 20 minutes at the post office or local phone retailers and you are connected 24/7 country coverage. Vietnam is a long-stretching, beautiful, historically and culturally rich and amazing country. Vietnam is a friendly and safe place to travel. With a little common sense, your trip should be smooth and trouble free. Tourists usually complain about over-aggressive street vendors, tour operators with a bad attitude and dangerous driving. However, with a cool head and sensible planning, one can avoid these problems. Vietnamese dress conservatively. Despite the heat, it's best not to show off too much skin, especially girls, you'll only draw stares from the locals. Dress well when visiting pagodas. No shorts or tatty beer t-shirts. Shoes are fine, and rarely will you have to remove them. If unsure, just follow what the locals do. Keep your cash, credit cards, airline tickets and other valuables in a safe place. Travel with recommend tour agencies. Even if you plan to buy tickets when in country, research your journey a little first on the Internet. Wear a lot of jewelry on you, loose awarenes of bag with you. Violent crime is highly unusual in Vietnam, but petty crime is more apparent. A bag, a digital camera around your neck, you can be a potential target. When taking a ride by motorbike taxi (xe om) make sure your bag, if any, is not on display or easy to grab. Bag snatches, although still rare, are probably the most likely crime a tourist would encounter, and it raises the probability immensely if you are tailing a camera or a laptop in the wind. Don't wear singlets, shorts, skirts or dresses, or revealing clothes to temples or pagodas. Physical displays of affection between lovers in public are frowned upon. That's why you may come across couples holding hands but not hugging or kissing. Keep a cool head and remain polite, you'll have a greater chance of getting what you want. Remember, this is Vietnam, don't be paranoid about your safety, just be aware of your surroundings. Web site Hosted by Donaim name, Hosting and Website design.